Judas Priest has a new live recording on the way this spring. 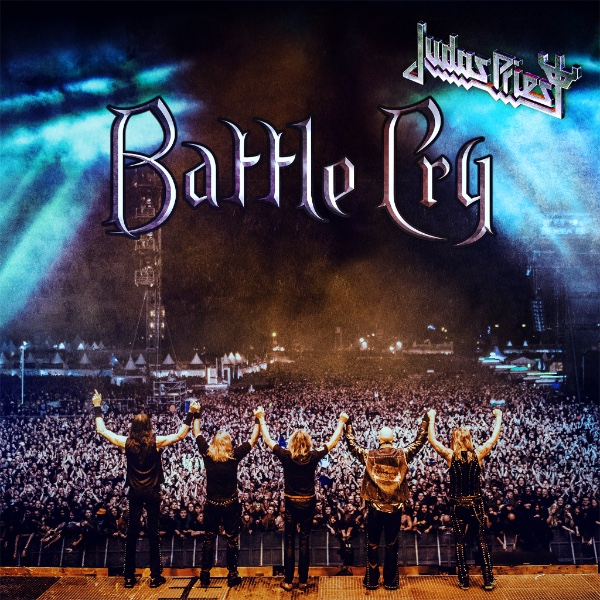 The veteran hard rock outfit announced this week that it will release Battle Cry its latest live recording on Friday, March 25th. Originally recorded on August 1st, 2015 during the band’s performance at the annual Wacken Open Air Festival the recording will be presented on CD/DVD/Blu-ray. The set’s CD platform features fifteen songs that span the band’s nearly five-decades-long career. Those songs include: ‘Dragonaut,’ ‘You’ve Got Another Thing Coming,’ ‘Victim of Changes,’ ‘Hell Bent For Leather’ and many others. The concert’s DVD and Blu-ray presentation each feature their own equally extensive set list. It includes the likes of ‘Turbo Lover,’ ‘Breaking The Law,’ ‘Living After Midnight’ and a number of others also included in the package’s CD platform. There is even a trio of songs recorded at a separate performance included as bonus material. The full track listing for both the CD and DVD and Blu-ray presentation is noted below. Audiences can view a trailer for the upcoming concert recording online now via YouTube at https://www.youtube.com/watch?v=hZH9ptg58ck. This entry was posted in Celebrities, DvD's and blu-rays, Internet, Movies, Music and tagged celebrities, entertainment, Epic Records, facebook, internet, Judas Priest, music, Phils Picks, Twitter, Wordpress, Youtube by philspicks. Bookmark the permalink.